For Sclerotherapy treatment of varicose or spider veins, the doctor injects a solution into blood vessels that causes them to shrink. The solution irritates the vessel, causing it to swell. This swelling cuts off the flow of blood or lymphatic fluid and the vessel shrinks. The procedure is non-surgical, requiring only an injection. 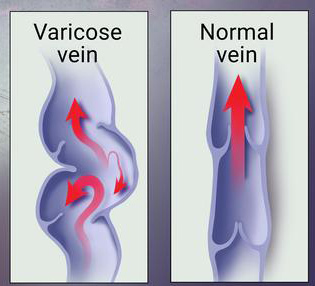 Varicose veins occur when the veins swell and bulge, usually in the legs. This is due to weak vein walls that, in turn, weaken the vein valves. As a result, blood pools up the veins, causing them to swell and look different. 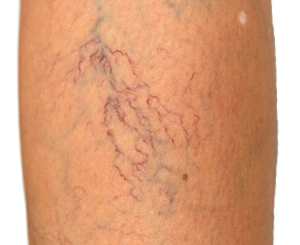 Varicose veins may be painful and can cause skin issues, including rashes. By shrinking the veins, sclerotherapy reduces the effects of vein damage, making varicose veins less visible and less painful. The procedure does not usually require anesthesia or any special preparation. During the treatment, the person lies on their back with their legs up. A doctor cleans the area, then inserts a small needle into the vein. The doctor injects the vein with an irritating solution. When the injection is complete, the doctor will massage the area to prevent blood from re-entering the vein. The individual may need to wear a pad or compression stockings in the area. Some people experience tenderness or bruising at the site of the injection, but recovery is otherwise relatively easy. Schedule a consultation today to determine if you are a good candidate for Sclerotherapy.